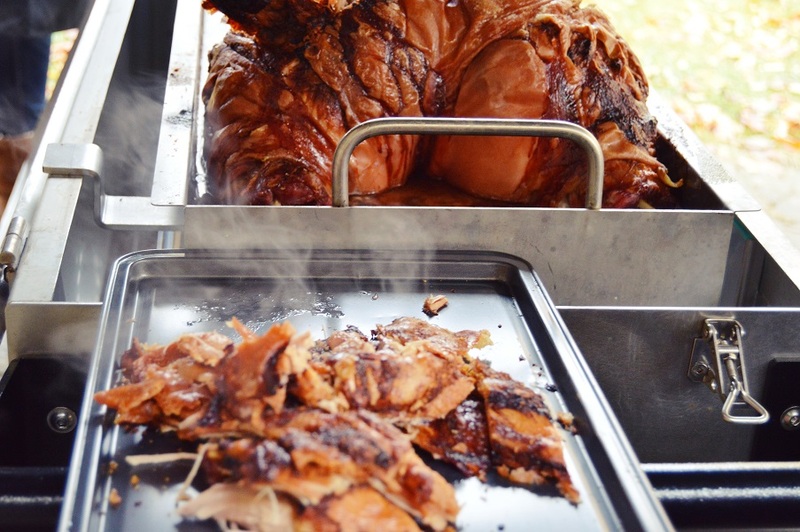 Hog Roast East Lothian has spent many years helping our customers to have amazing birthdays, anniversaries, retirements, weddings, work parties and so much more. When we’re asked to cater an event, we always have in mind to wow your guests from start to finish, both with our fantastic food and our first-class service, and we’re not happy unless you are. Whether you’re thinking of organising a formal or informal function, and whether you have just a few guests or several hundred, we will do our utmost to make it great. When Lenny called us to book a hog roast a while back, it was for his son’s magic-themed birthday party. His 13-year-old son Jon asked for a traditional hog roast to be served at his party after enjoying one of ours over the summer, at his parent’s anniversary dinner. We’d made scrumptious hog roast rolls for that party (we call them pigs in buns) and we would for this one too. Once tried, you never forget a Hog Roast East Lothian feast, and neither did Jon, who wanted to share his love of ours with his school friends and family members. On the day of the birthday party, our Hog Roast East Lothian team arrived at Lenny’s home and set up our gazebo, serving table and hog roast machine outside in the back garden. It was a chilly January day but once the fresh, local hog was roasting away, we would warm up soon enough, and the pigs in buns we were making would warm everyone up later on. To start, we had to prepare the meat, so our chef scored it all over, added lots of water so it would stay moist and then massaged in plenty of salt, which would make the crackling that everyone loves. Then all we had to do was set the temperature on the hog roast machine and turn it on, and it would do all the hard work for us. Nearer to the time of service, while the meat was resting, we sliced the bread rolls and arranged them with some wraps, dished up the apple sauce and stuffing and got ready to serve the first magic trick of the day – delicious pigs in buns made from scratch! Hog roast Balloch- Summer Fundraiser! Buy Your Own Machine from Hog Roast Stirling!